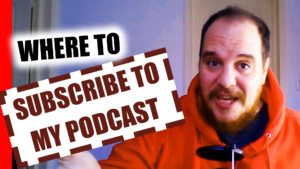 This is how you can subscribe to my podcast! I am running a podcast for Science for Progress, and there I am talking about how to improve academia, and how science/academia interacts with society. I interview people who are, for example, working on better metrics for research(er) evaluation, people who work on topics relevant to society (such as GMO food, and animal welfare), or someone who can tell us a bit about Science Communication, or the PhD experience. Interested? Well, you should subscribe to the podcast, then!